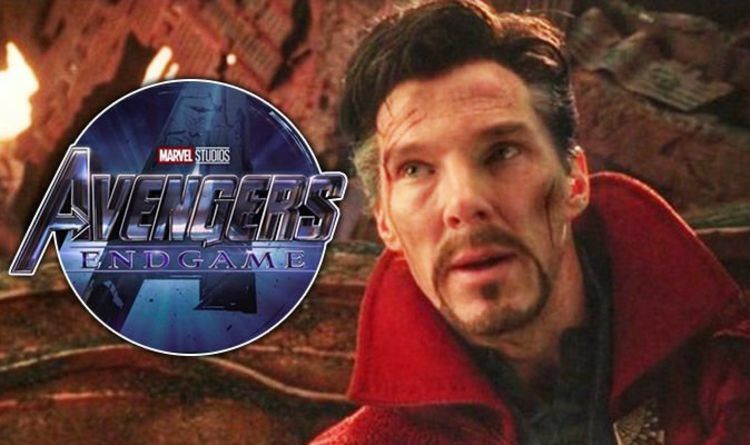 Avengers Endgame title EXPLAINED: What did Doctor Strange mean? On Friday the Avengers 4 trailer released, breaking the record for the most viewed online trailer in 24 hours with 289 million hits. At the end of the Marvel teaser, the title of the film was finally revealed as Avengers Endgame. It’s alleged by Hollywood insiders the movie also had the title Infinity Gauntlet and Annihilation attached, but both of those were leaked at various times – as was Endgame. So why is Avengers 4 called Endgame? Endgame refers to a line made by Doctor Strange in Avengers Infinity War. To understand this move and what he’s referring to, we have to go further back in the film. When Doctor Strange, Iron Man and Spider-Man encounter the Guardians of the Galaxy on Titan, the Sorcerer Supreme uses the Time Stone to view all their possible futures across the multi-verse. Having viewed 14 million six hundred and five of them, he reveals to Tony Stark that there’s only one possible future in which they defeat Thanos. Clearly then, Doctor Strange needs to ensure that future happens, and that means Tony Stark needs to live (for now) and Thanos had to take the Time Stone and, well, win (for now). And we know Doctor Strange meant this to happen because as he turned to dust after the Snap he told Tony that it was the only way. Essentially this means the only path along the one future in which the Avengers defeat Thanos; the Endgame. And we’re finally going to see what that future was that Doctor Strange watched in Infinity War, in Avengers Endgame. Avengers Endgame will be released in UK cinemas on April 26, 2019. Strictly Come Dancing 2018 line-up: Coronation Street star Kym Marsh to appear on show?